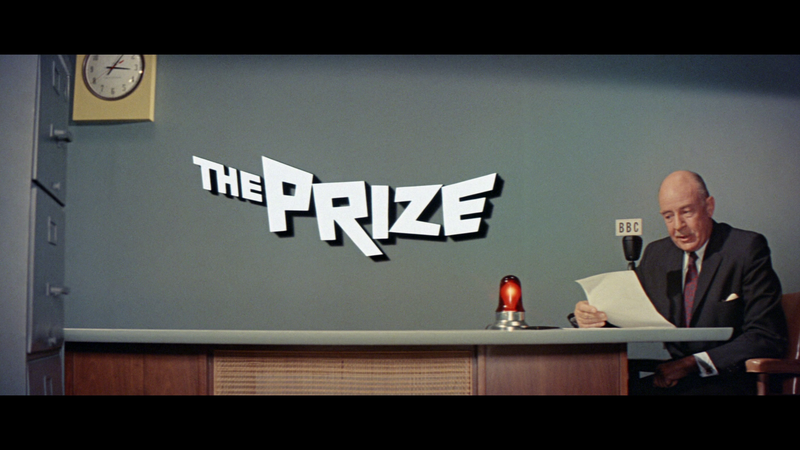 The Prize might be a second-rate Hitchock-like 1960s thriller but there were some really fun moments and Paul Newman is the primary reason the film works at all and is well worth checking out. Plot Synopsis: Top writers, scientists and leaders converge annually on Stockholm to take part in the awarding of the prestigious Nobel Prize. This year, however, some honorees will find the great event eclipsed by a greater challenge: staying alive. Nobel winner for literature Andrew Craig (PAUL NEWMAN) is a hard-drinking author. At first dismissive of the award and only interested in the cash it brings, Craig finds his writerly instincts and wit sharpened when he senses the physics prize winner (EDWARD G. ROBINSON) is an impostor. He sets out to expose the hoax, free-falling into a Cold War ploy of secrets, pursuits, subterfuge and assassins; based off of the bestselling novel by Irving Wallace. 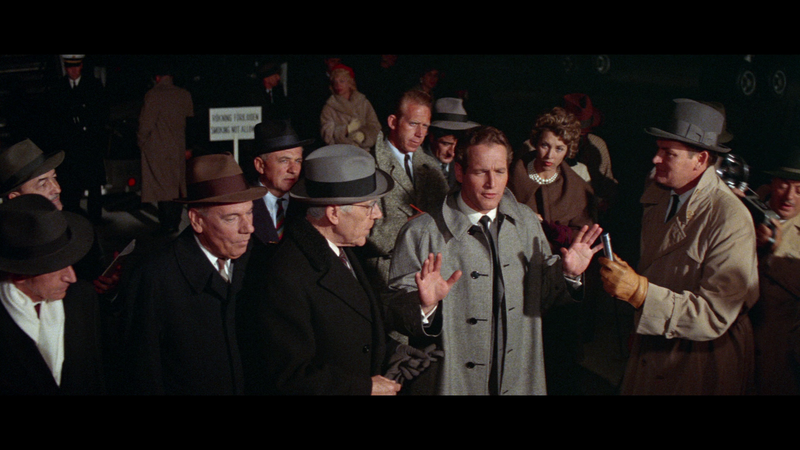 Quick Hit Review: The Prize is a well made if not also lengthy thriller that definitely excels based off of Paul Newman’s magnetic and energetic charm, playing a frankly douchebag who, as the film progressed, did become more likeable. Being from 1963, there are some elements that were laughably bad such as the backdrop driving scenes and green screen work in one scene in which Newman is “dropping” off the edge of a building in the water below. Not to mention a wonderfully funny death scene at the end which, if done today, actually would’ve been pretty great. In the end, I did find this fairly enjoyable and although it’s not as thrilling as a North by Northwest (this is from the same screenwriter), Cape Fear or Repulsion. But thanks to Newman, and to some extent his love interest, German-born Elke Sommer. The only feature is the trailer. The Prize comes to Blu-ray through the Warner Brothers MOD program where it is presented in its original 2.40 widescreen aspect ratio and has been given a new 1080p high-definition transfer, though there’s no mention how it was remastered or where, but whatever the case, this does look quite good for a movie going on 55 years. I really did not notice major instances of artifacting, aliasing or any other flaws such as dust marks or aliasing. That said, this is nothing extraordinary as it’s not incredibly sharp but colors were at least matching with the 1960s era. The disc comes with a basic but effective DTS-HD Master Audio 2.0 Mono track which I did find fairly strong, especially with the dialogue coming through with good clarity and no discernible pops or hisses. 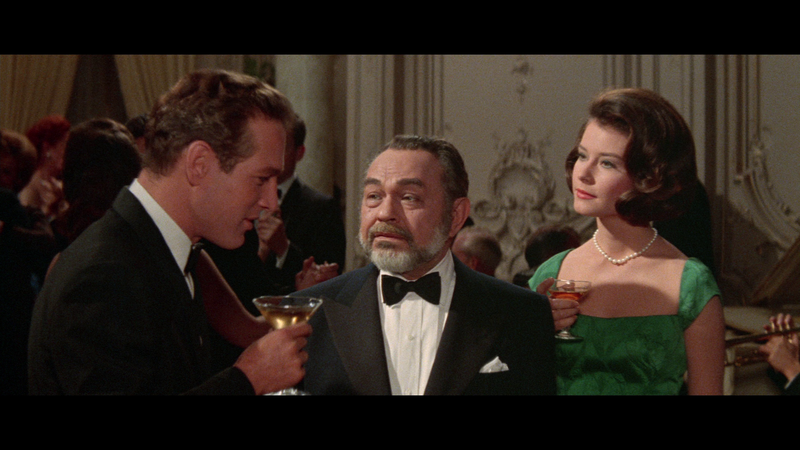 Overall, The Prize might be a second-rate Hitchock-like 1960s thriller but there were some really fun moments and Paul Newman is the primary reason the film works at all and is well worth checking out. The Blu-ray release from the Warner Archive Collection offers up very good video/audio transfers but once again, lacked any meaningful features.